The only way auto accident settlements (as opposed to malpractice settlements that have to be reported) get on the radar screen is if you call Metro Verdicts and tell them you settled a case. But there are few sources of verdict and settlement statistics in personal injury cases so it is hard not to find data like this interesting. I would love to see a jurisdiction comparison of Baltimore City and all of the counties in Maryland. 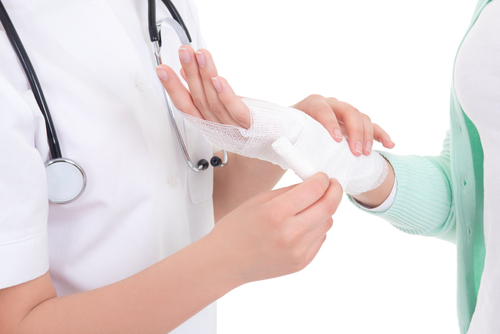 Most wrist injuries we see are fractures. A fracture is a broken bone. Many of these cases are comminuted wrist fracture cases which means it is not one clean, bony fragment, but multiple fragments. These cases are going to have a higher average settlement value. Also adding to settlement value is when there is a fracture that extends into the joint is called an intraarticular fracture. Ultimately, the more serious and permanent the injury is the greater the value of the case. There is no question that wrist injuries are on the rise? Why? Everyone has airbags now. When airbags deploy, arms and wrists often go flying causing a much higher number of wrist injuries. This leads to fractures and other injuries to the wrist and the two forearm bones, the ulna, and radius. As a result, the conventional wisdom of hand positioning is changing. Some now believe that this new risk means that the 10 and 2 o’clock arm position you learned in driver’s education should be moved to 9 and 3 o’clock. I don’t know enough to really offer an opinion on this because I have no idea if you are quicker in the 9 and 3 position. What Is a Smith’s Fracture? A Smith’s fracture is distal radius fracture across the wrist while the wrist is in flexion. Our lawyers see a lot of Smith’s fractures in slip and fall cases because this injury occurs commonly when people fall on a flexed wrist. I suffered a Smith’s fracture in the third-grade playing football. 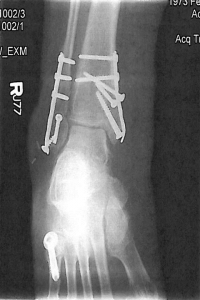 This type of fracture can also occur by forcefully striking an object with the wrist in a flexed position. A Smith’s fracture is a fracture of the volar rim of the distal radius. It is not a particularly common distal radius fracture but we seem to have a lot of clients who have suffered this fracture (or I’m more in tune with it because I suffered the same fracture). Our law firm has handles a lot of wrist injury cases. You can see some of our verdicts and settlements here. But many of you are not interested in jury our verdict in Maryland. Below are some more personal injury verdicts around the country with an eye towards better understanding the value of these cases. You cannot determine the value of your case by looking at other verdicts. The outcome of one case really does not predict another. I promise. So why post them at all? They are helpful, with other tools, of better understand the range in which these cases might settle or a jury might award. They are helpful in understanding settlement value as long as you understand their limitations. 2016, Florida: $150,000 Verdict: A woman who is seven months pregnant is hit broadside by a police officer who runs a stop sign. She suffers a left wrist fracture requiring surgery involving the insertion of plate and screws. The defense argument in the case was that the wrist has entirely healed. Plaintiff said she was still having problem and, presumably, plaintiff’s lawyer showed the jury an x-ray of what it looks like to have that hardware permanently placed in your arm. 2014, Pennsylvania: $86,000 Verdict: The plaintiff was walking when he stepped into an empty tree well. He landed on his right wrist and elbow, injuring them. He sued the property owner, claiming that they failed to fix the empty tree well, while they asserted that it was the city’s responsibility to do so, not theirs. The plaintiff’s injury required surgery, including reconstructive surgery of the tendons in his wrist. The jury determined that he was partially responsible and molded the judgment to $55,900. 2014, Pennsylvania: $70,000 Verdict: Plaintiff was walking on a sidewalk with her elderly mother. She tripped on a raised piece of sidewalk and fell on her wrist. Her wrist was fractured, and she has to remain in a cast while it healed. She sued the property owners, alleging that the sidewalk was negligently maintained. She was awarded $70,000, which was then amended to $49,000 because the plaintiff was partially at fault. 2014, Virginia: $185,000 Settlement: Plaintiff, 30, was driving her car when she was hit head-on by another driver. The other driver admitted liability but objected to the damage amount. The plaintiff underwent surgery to repair a torn tissue in her wrist, but the defendant claimed the injury was from a previous condition. The parties settled prior to trial. 2013, Maryland: $120,000 Settlement: The plaintiff, 54, was walking in Northeast Baltimore, when she tripped and fell on her wrist, leading to a fracture. She sued the City, claiming that a raised portion of the sidewalk caused the injury, but the City contended that they were not responsible for fixing it because it was minimally dangerous. On the day before trial, she settled for $120,000. 2013, D.C: $42,000 Verdict: The plaintiff was a 78-year-old woman, who was a passenger in her granddaughter’s car. Her granddaughter was involved in a crash when she turned out in front of a car. She sued both the granddaughter and the other driver, claiming that the other driver was signaling a left turn. As a result of the accident, she received a fractured right wrist. The jury awarded her $42,000 against her granddaughter, but nothing against the other driver. 2013, North Carolina: $43,000 Settlement: The plaintiff’s car collided with the defendant’s when she turned out into an intersection. He complained of a wrist fracture and sued the defendant. She did not claim liability, however, she disputed that the injury was caused by this accident, instead alleging that it came from a previous fracture. He settled for $43,000 after claiming $23,000 in medical damages. 2010, Maryland: $50,813 Verdict: The plaintiff was driving home late at night when he struck a construction container left in the road by a construction company. He fractured his wrist as a result of the accident. The defense contended the nature and cause of injury. The jury awarded $50,813. I have handed a large number of wrist injury cases. I know the medical experts in these cases, I know the defense experts, and I know how to put these cases in the position to get the best settlement or verdict we possibly can. 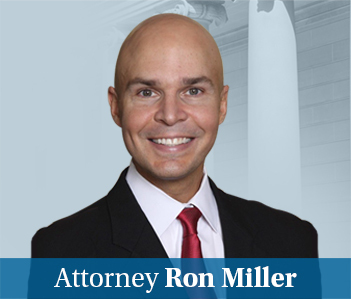 If you need a lawyer, call Ron Miller at 800-5553-8082. You can also get more information about your options and get a free case evaluation online here.